This exhibition focuses on the final decade of artist Chia Yu Chian's paintings from the late 1960s until his passing in 1990. Ilham Gallery director Rahel Joseph and University of Malaya art historian Simon Soon come together once again in their third curatorial collaboration for this exhibition, which features over 167 of the artist's works and archival materials, drawn from his family's collection as well as other private and national collections. 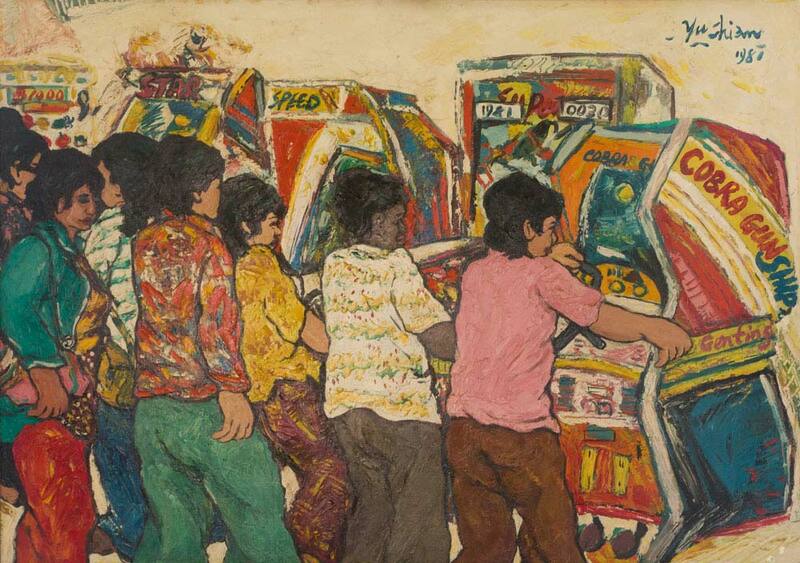 His works are based on his personal observations of social drama and quiet slice-of-life moments in the streets of Kuala Lumpur. Ivan Lam is one of Malaysia's most progressive artists, bringing the local contemporary art scene forward. In his latest exhibition at Wei-Ling Contemporary entitled "Faux", he engages his contemporary practice with one of the oldest traditions in Western oil painting —"Nature Morte" — universally known as still life painting. He challenged himself to return to the roots of what defined an artist in the classical era and steps away from his ego to create this series. Taiwanese artist Liao Shiou-Ping holds his exhibition in the National Art Gallery, also known as Balai Seni Negara. His works have a signature style of bold red backgrounds and a heavy usage of prints. Most of his works have been influenced by his familiar childhood scenes back in Taiwan such as Lungshan Temple and Wanhua Market. With the festive celebrations in mind — hence the red — he uses various techniques to make his prints. TAKSU Kuala Lumpur holds its first exhibition of the year in late January entitled "Locals Only!". As its name suggests, the exhibition features new facets of local art, submitted by both fresh art graduates and established artists.